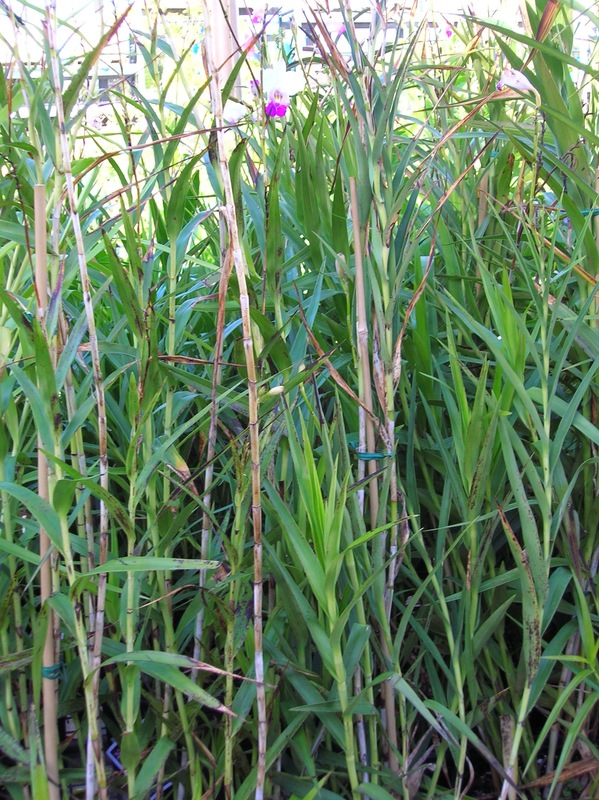 Growing to about three feet or so, the sweet little blooms punctuate cane-like foliage. Looks like a nice landscape plant where it can be protected. 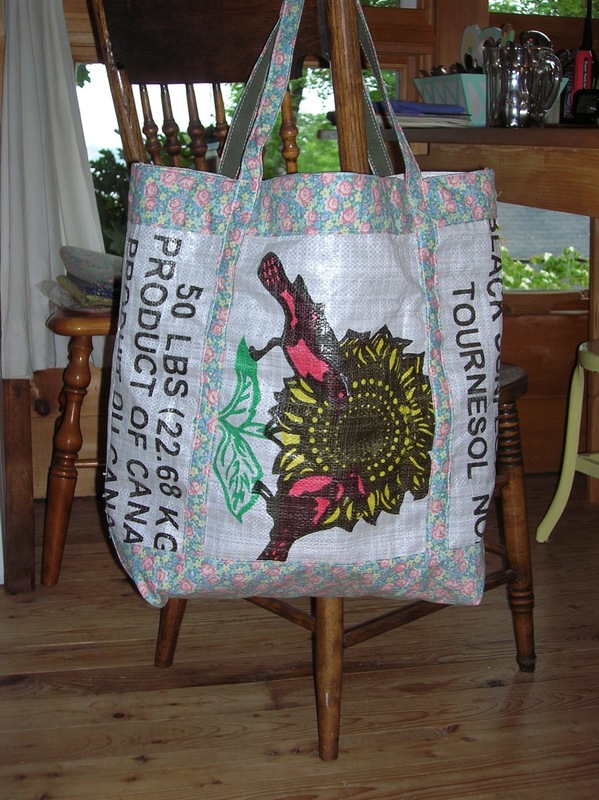 Here’s a project that makes colorful tote bags from those plastic/fabric bags that hold 50-pounds of bird seed or animal feed or even grass seed. Great to use for grocery or farmer’s market purchases or for creative gifts, the handcrafted projects are inexpensive to make and quick to construct. 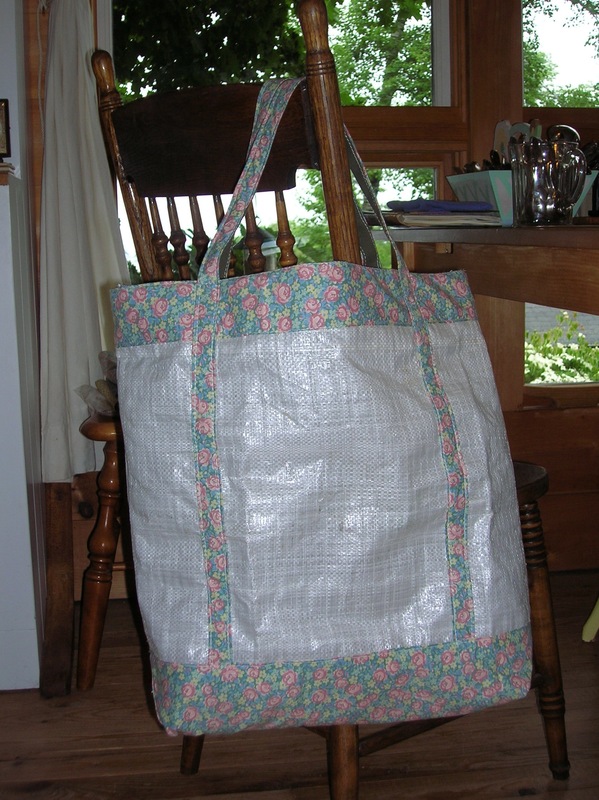 All you need is a bird seed bag, some cotton or nylon webbing for the handles and about a yard of calico (or any other pattern you like) fabric. Make bias tape cut on the diagonal from the calico fabric the same width as the webbing. Sew the “bias tape” on top of the webbing to use for the handles. 1. Cut along one side of the bag and remove bottom stitches to create a flat piece. 5. 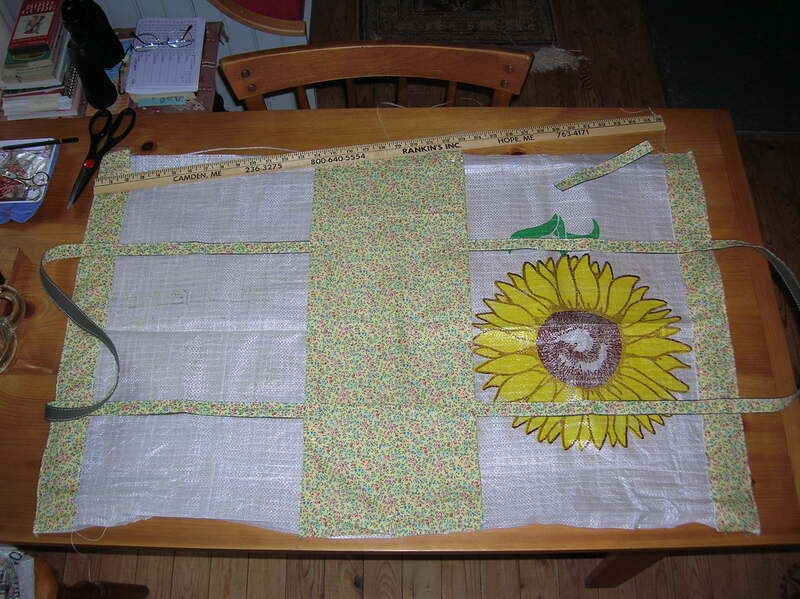 For double-stitched side seams, fold bag along center bottom with right sides facing out. Sew side seams and turn bag wrong side out. Sew along side seams enclosing raw edges of previous seams. Turn right side out. 6. 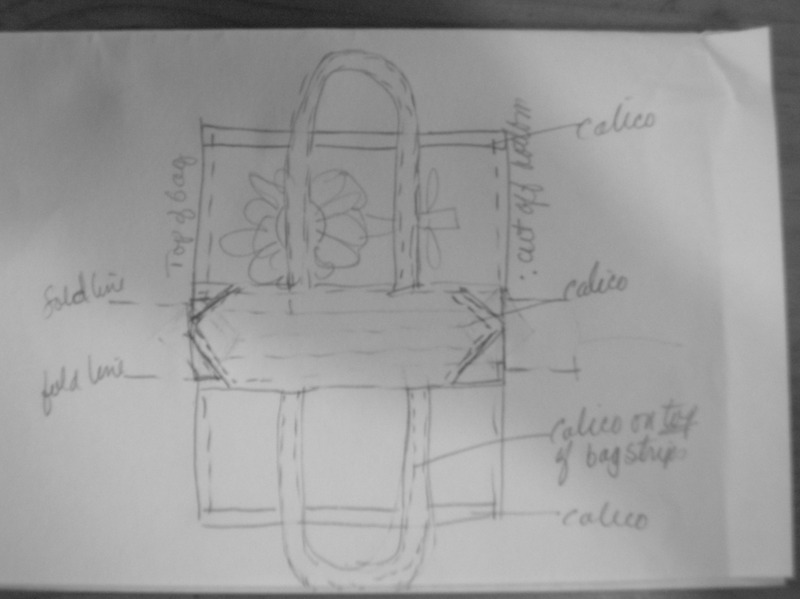 Finally, square off bottom of bag, turning corners up so “point” is aligned with side seams, to create a “square” bottom. Sew the resulting “triangle” to keep bottom squared off. 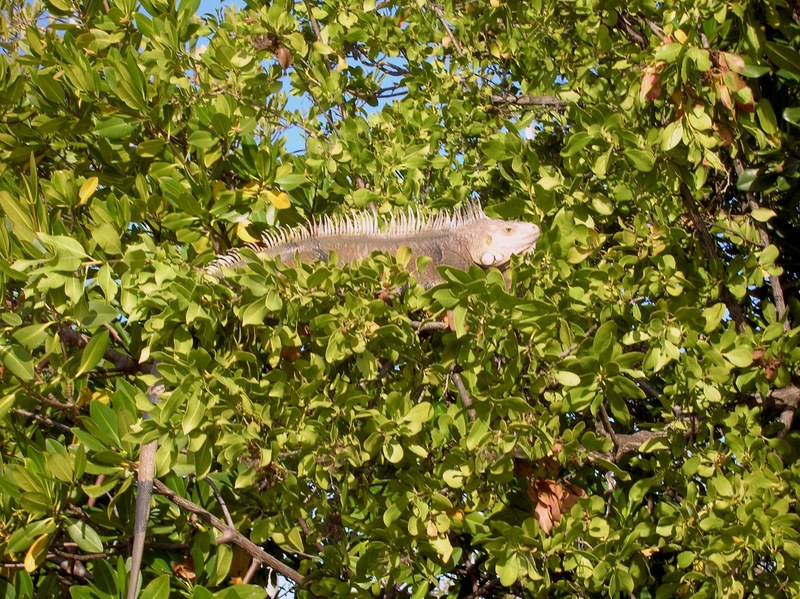 Last winter’s cold did a lot to put a dent in the numbers of the iguanas in South Florida. But from the looks of this healthy-looking specimen (which by the way is about four feet long) I’d say they are still around in this part of the state. Gardeners despise these gluttons that strip just about everything in sight. Plus they eat birds’ eggs, another reason to want them gone. Getting to know some of those tropical plants up close and personal. 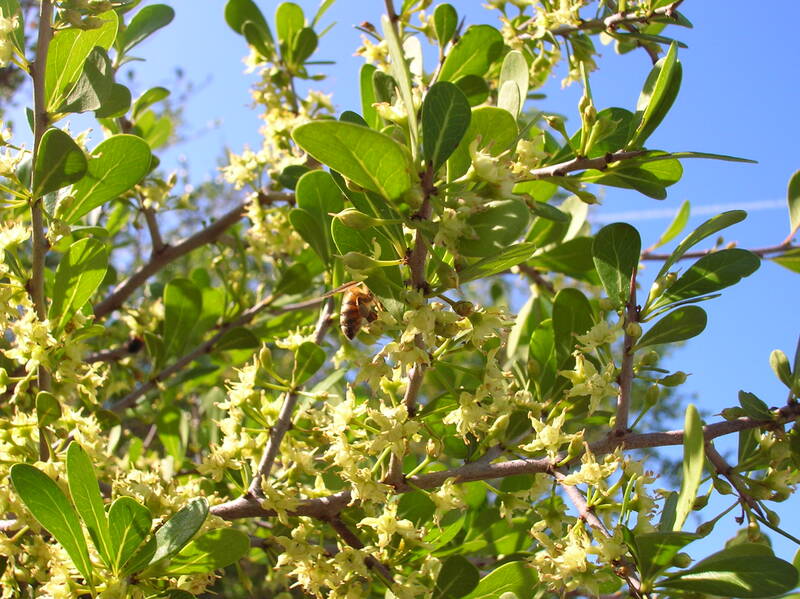 Today while riding the bikes behind the city park in Marathon (Florida Keys) we were nearly stopped in our tracks by the most fragrant aroma. Straining our eyes into the mangroves we just couldn’t find the source of that sweet smell. So delicious, so tropical. 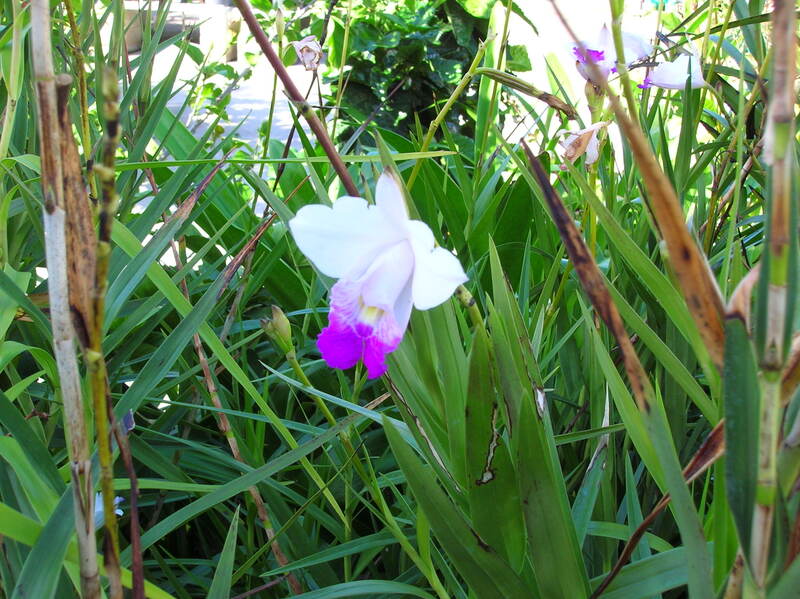 We searched, being careful to avoid such tropicals as poisonwood. Following our noses we came upon a shrubby tree that a first glance showed no blooms. On second glance we could see the thick clumps of tiny greenish-yellow blossoms, and the bees! Small wasps, bumble bees and even house flies (or SOME kind of flies) buzzed all around. Took some searching reference books, but it looks as if we’d encountered an Inagua oak, also commonly called black olive (Bucida buceras). Not flashy in looks, but my-oh-my what a sniffer it is!